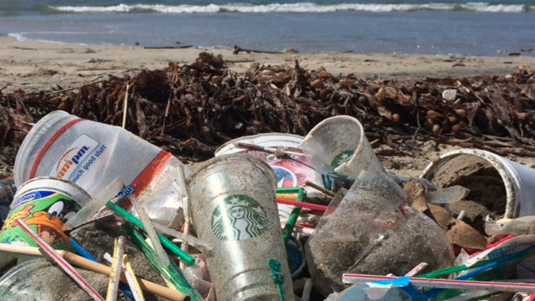 On 9 July 2018, Starbucks leapt forward in the fight against plastic pollution. The company announced it would phase out its plastic straw use by 2020. This created quite a stir. Soon other companies and cities followed to enact a plastic straw ban. Reducing and, eventually, eliminating our dependence on plastic certainly combats the destruction wreaked on the environment by humanity. Still, there is no single catchall solution to our environmental woes. Repairing the damage we’ve caused will take decades or, more likely, generations. Countries and cities are laying the groundwork for this recovery. Solar power investments in China are booming, with $86.5 billion allocated in 2017. The Canadian government invested heavily in carbon sequestration technology and the results are promising; Carbon Engineering, a Canadian company, is using carbon sequestration to create the world’s cleanest-burning gasoline. The city of San Diego committed to reaching one hundred percent renewable energy by 2035. These lofty ambitions and plans are wonderful and necessary. They will help the world years in the future. Yet, what can you, as an individual, do to help the planet right now? For a start, eat less meat. Livestock production and its agriculture support system are among the most destructive forces driving climate change, wildlife endangerment and deforestation. Livestock, especially cattle, degrade air quality, pollute waterways and are the single-largest use of land. In 2012, around seventy billion animals became livestock, that is, food for a population of 7.1 billion people; fewer people if disparities in food distribution are considered. A 2006 UN food report and a 2009 World Watch study reveal this massive livestock population contributes from 18-to-51 percent to climate change. Here’s why. “Raising animals to eat produces more greenhouse gasses (via methane and nitrous oxide) than all of the carbon dioxide excreted by automobiles, boats, planes and trains in the world combined,” according to a report in The Guardian. If you truly want to protect the environment, stop eating meat. At a minimum, cut meat from your diet as much as possible. This is the most powerful way to reduce your carbon footprint. A meatless diet protects the environment even more than if you quit driving. If you’re worried about missing the flavours and protein-rich diet meat provides, it’s okay. The food industry has plenty of plant-based “meat” products that are tasty, nutritious and provide considerable protein. Plus, lab-grown meat is just around the corner. Next, invest in smart home technologies. Homeowners have many ways to reduce resource consumption and waste production. The basics are turn off the lights in empty rooms, although frequently turning a lightbulb off-and-on can increase your light bill, thus, use LED bulbs. Limit your use of air conditioning and heating as much as you can. Strive to recycle paper, cardboard, glass products and plastics. Install low-flow faucets and toilets; newer toilets use roughly two-thirds less energy than older models. Buy Energy Star appliances, as you can. Lastly, for now, fix leaky pipes, taps and drains. Although these are all excellent habits that save money and the environment, it’s easy to forget about these practices and over time increase your carbon footprint and your energy costs. If you want to optimize how you save energy and the environment at home, investing in smart home technology may be among your best options. Home automation gadgets make your life more integrated and efficient by allowing you to remotely control the thermostat, lights, electricity usage, sprinkler systems and even monitor your pipes for leaks to avoid water waste. These and related up-grades can be expensive. Still, research by LifeHack shows smart home technology can save up to twenty-five percent of wasted electricity and up to fifty percent of wasted water. Up-grades may be cost efficient, especially in the end. Practice the Three Rs. Reduce, reuse and recycle are steadfast tenets to live your life by if you want to conserve energy, natural resources and protect the environment. Homeowners, renters and campers can use the Three Rs to improve how well they manage resource consumption. Composting and grey water collection are among the most effective and underutilized methods to live out this idea. Compost mulch is superb, homegrown fertilizer composed of kitchen scraps and lawn trash. Making a compost pit is an excellent way to recycle and reuse waste instead of clogging landfills. This reduces methane production, while simultaneously giving you free fertilizer for your lawn or garden. Compost pits are composed of materials called greens and browns. Green materials provide nitrogen during decomposition. Greens include coffee grounds, eggshells, fresh grass clippings, green leaves, fruit and vegetable peels, and used tea bags. The brown ingredients provide carbon during decomposition. Browns are often dead leaves, sawdust, small twigs, straw and used potting soil. If you plan to compost, the EPA has a recommendation. Pile your compost material roughly in a roughly one-yard diameter area. Ensure it is in a place that’s dry, shady or partly shady and near a water source. The ratio of browns and greens should be roughly equal, intermixed and well aerated. Composting is a great first step, but growing vegetables from compost can only go so far if you don’t have clean water with which to cook. Although water covers seventy per cent of the Earth, only 2.5 per cent of that water is drinkable. Thanks to climate change and lax water laws, many towns and cities are struggling to maintain a stable, potable water supply. Drought-stricken areas must begin reusing grey water and capturing rainwater for daily needs like watering plants, cleaning clothes and washing cars. This will help alleviate the water demands for necessary tasks, such as drinking or cooking food. With minimal effort, even people that don’t live in water-scarce areas can save and reuse water waste to decrease their carbon footprint and lower their bills. There are many different techniques and considerations for capturing grey water safety and efficiently. The easiest method is to siphon water from the kitchen or bathroom sinks into buckets. If you want to capture rainfall to supplement the grey water, a variety of water harvesting options exist; a rain-barrel collection system is a cheap, simple and effective method to consider. To install a rain barrel, purchase a large drum barrel, typically 50-to-100 gallons, and place it below a gutter downspout on your home. Placing the barrel on level ground is essential. Concrete pads work best because they can withstand the weight of a full barrel and will maintain form in the rain. Also, include a siphoning system or built-in spigot during installation. If you want to optimize how you save energy and the environment at home, then investing in smart home technology may be among your best options. Home automation gadgets make your life more integrated and efficient by allowing you to remotely control the thermostat, lights, electricity usage, sprinkler systems and even monitor your pipes for leaks to avoid water waste. The planet is in dire shape; the consequences are affecting people across the world. We can’t rely on elected officials and big corporations to save the environment or us. We must take matters into our own hands, even if we can only make small differences as individuals. All small steps matter, as Neil Armstrong reminded the world in July 1969. If enough of us join a movement and participate in a meaningful, deliberate way, all of our small steps become a huge leap forward toward for humanity and its goals.